The shooting of a man in New York City’s Greenwich Village early on Saturday has been called an anti-gay hate crime by the police commissioner. The Associated Press reports that a gunman shot victim Marc Carson, 32, at point blank range after subjecting him to homophobic language. Police Commissioner Raymond Kelly said the gunman’s movements before the crime began with urinating on a street corner in Greenwich Village, one of the City’s gay districts. He then entered a bar and use homophobic language and threats against the barman, showing the gun he was wearing in a holster. One of the men then stopped tailing Carson. Mr Kelly reported that the gunman asked, “Do you want to die here?”, before shooting the victim in the cheek. Police Officer Henry Huot arrested the gunman, who has yet to be named, based on a radio call. Carson was pronounced dead at Beth Israel Hospital. 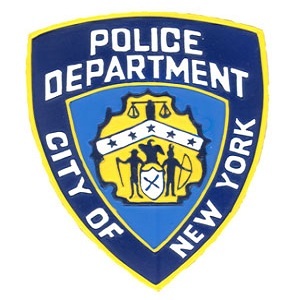 On 10 May two 21-year-old men, Asllan Berisha and Brian Ramirez, were arrested in connection with an attack on two gay men. They have been charged with gang assault and assault as a hate crime. Police say they are still looking for three more suspects who escaped on foot. Police are also looking for four men who harassed and attacked two gay men.